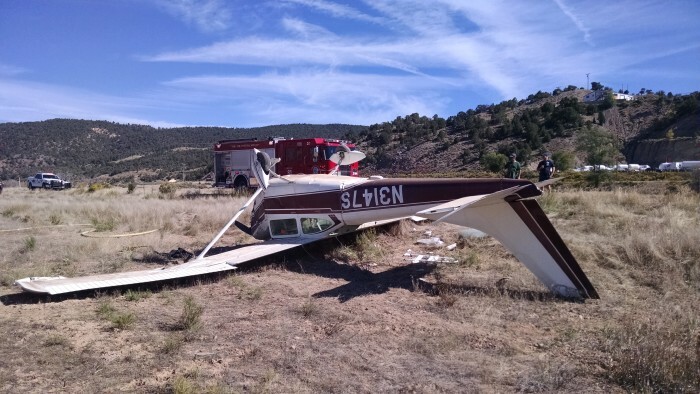 Carbondale, Colo. – At 9:53 a.m. on Sunday, September 27, 2015, Carbondale & Rural Fire Protection District was paged to a field near County Road 154 for a report of an aircraft emergency. 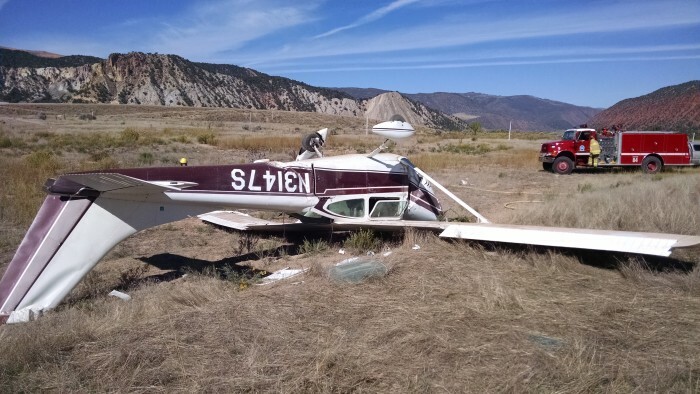 Upon arrival, the firefighters found a single engine Cessna plane that had crashed in the field near the old Sopris Restaurant. The plane was upside down in the field. One person was still in the aircraft and needed to be extricated. Paramedics transported two occupants from the plane to Valley View Hospital with injuries. There were no fatalities. The crash will be investigated by the Garfield County Sheriff’s Department and the National Transportation Safety Board. The Rio Grande Bike Trail is closed from Cattle Creek to County Road 154 while the crash is being investigated. Carbondale & Rural Fire Protection District responded with two fire engines and two ambulances. Other responding agencies included Glenwood Springs Fire Department, Garfield County Sheriff’s Department, Glenwood Springs Police Department and the Colorado State Patrol.